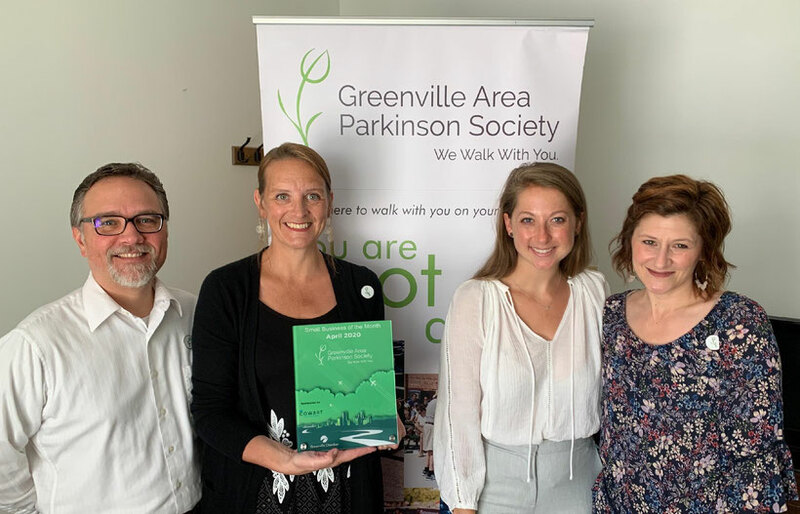 The Greenville Area Parkinson Society (GAPS) is a local non-profit organization that offers support, education, and advocacy to people living with Parkinson’s Disease, their caregivers, spouses, and families. Our organization is non-medical and non-research, focusing on individuals with PD and the people in their lives. We know firsthand that they all have unique experiences in living with PD. Left to right: Stan Smith (co-founder), Laryn Weaver (Executive Director), and Pat Sullivan (co-founder). Ellison McCoy – Vice President, Jackson Lewis P. C.
The Greenville Area Parkinson Society is a registered 501(c)3 tax exempt charity organization (Tax ID # 26-4792316). 990 is available for review by appointment.